Your Motorola Mobile Phone Gets or Got Locked. You have forgotten the secret code or password of your Motorola Mobile Phone. You Motorola Mobile Phone gets hanged too often. The above step will start Master Reset. 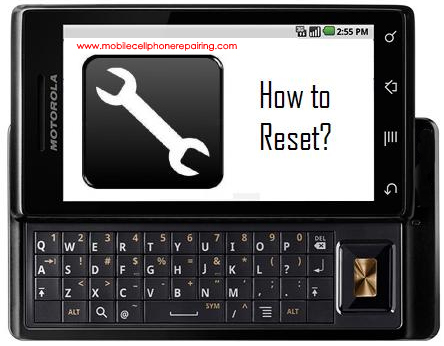 This will Reset your Motorola GSM Mobile Phone. Remove the SIM and then complete the process and check. There looks like a fault is the Touch Screen. Get it replaced. It does not costs much. Remember that the main Display and the Touchscreen are two different things.